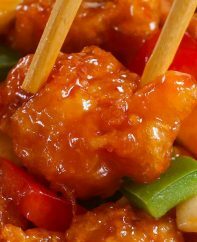 General Tso’s Chicken – crispy and tender chicken coated in a sticky tangy sauce, totally addictive! 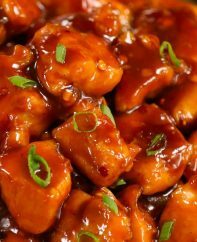 This homemade General Tso Chicken takes about 20 minutes and is so much better than ordering Chinese takeout! Plus video tutorial! 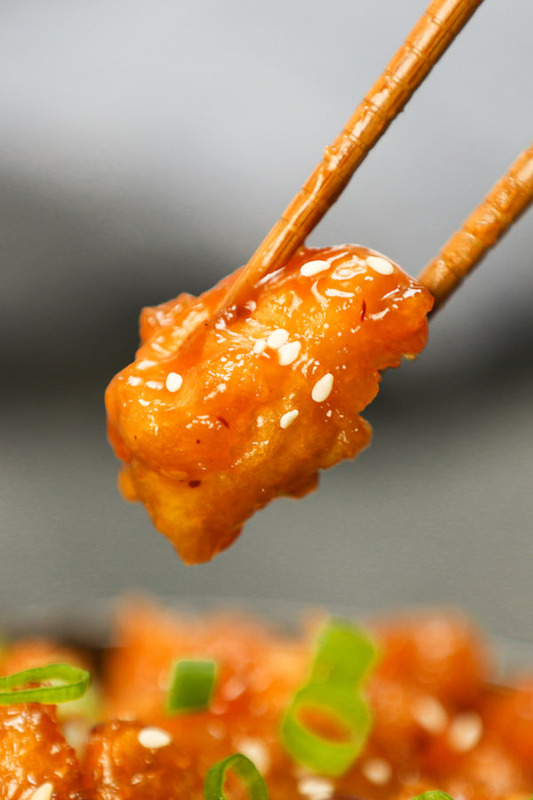 General Tso’s Chicken is just so good… crispy chicken coated in a sticky sweet and sour sauce with a slight spicy kick. 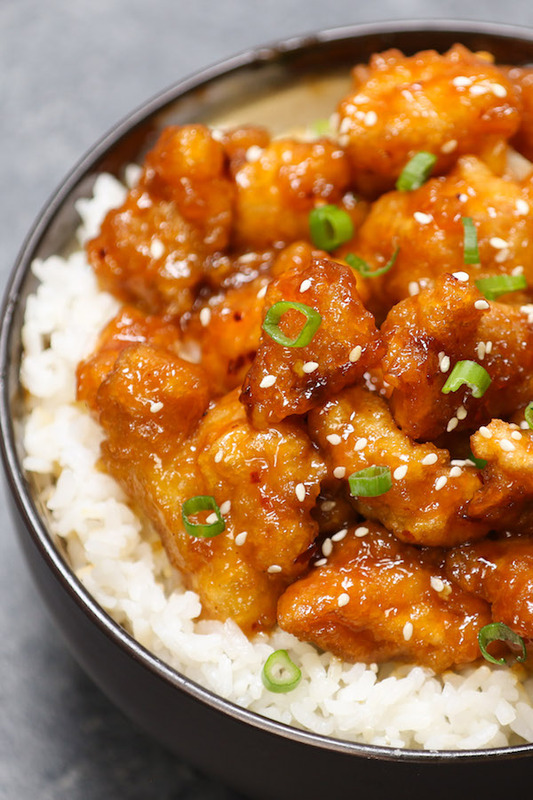 After we posted Slow Cooker General Tso’s Chicken, you guys have asked for a quicker General Tso Chicken recipe. It’s one of our favorite Chinese chicken dishes along with its close relatives Sweet and Sour Chicken, Orange Chicken and Lemon Chicken. This recipe is healthier and lighter than takeout, as the chicken is coated with cornstarch and pan fried instead of deep fried. 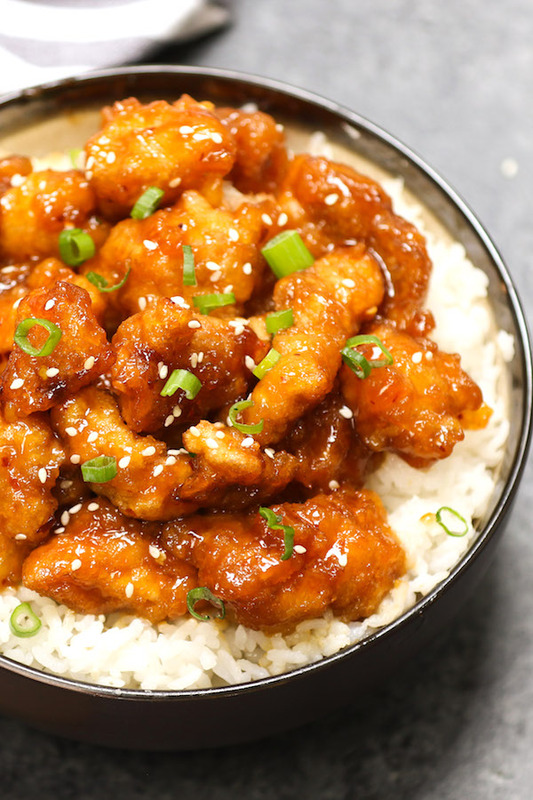 General Tso’s Chicken goes by many names, and in Chinese it’s 左宗棠鸡 (Zuo Zong Tang Chicken), apparently named after a military leader named Zuo from the Qing dynasty. It first appeared in New York in the 1970s and has since become the most popular takeout in America according to NBC. However, many restaurant versions deep fry the chicken and use food coloring in the sauce. 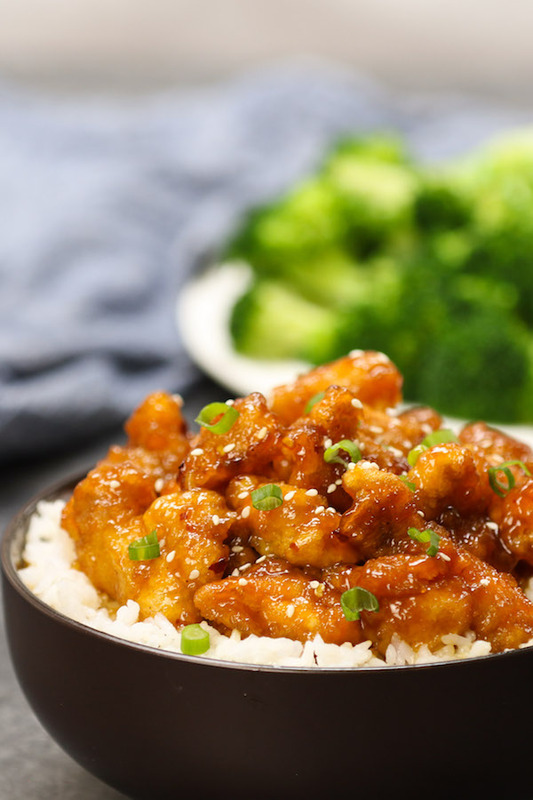 Homemade General Tso chicken is definitely fresher and healthier, and still just as tasty! 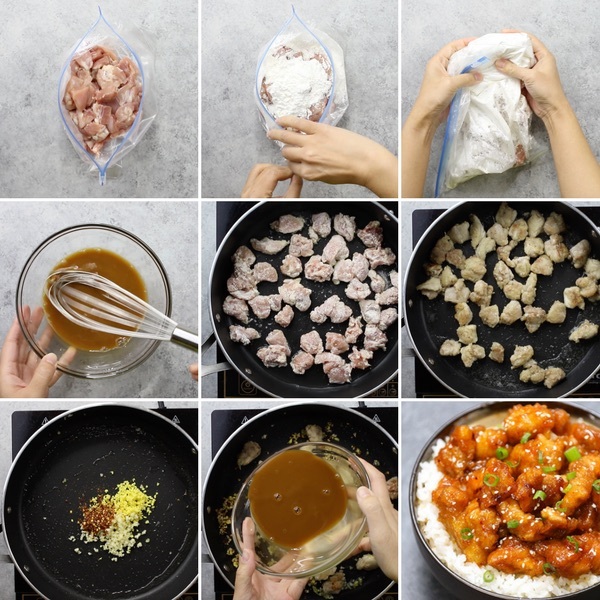 Start by cutting boneless, skinless chicken thighs into 1-inch cubes. You can use chicken breasts if you prefer white meat, but chicken thighs have the best flavor for this dish. Thicker coating / breading: Requires marinating chicken pieces with beaten eggs or sauces before coating with cornstarch. It makes extra-crispy chicken, and you’ll find how to accomplish this in my Chinese Lemon Chicken recipe. Lighter coating: Is faster and lighter, and in my opinion tastes equally good. 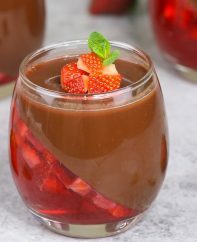 In this recipe I used the second method. I added chicken pieces into a large ziplock bag, and then add salt, pepper and cornstarch. Mix well. 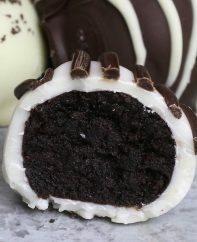 You can also toss them in a mixing bowl with a spoon. This General Tso’s sauce is almost identical to the ones at most Chinese restaurants. To make it, in a small medium sized bowl, combine rice vinegar, soy sauce, hoisin sauce, water, sugar and cornstarch. Mix well and reserve for later. If you can’t find rice vinegar, use cider vinegar as a substitute. Hoisin sauce can also be substituted with a bit more effort as described later in this post. 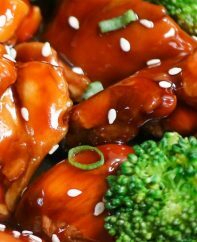 Try to use all the ingredients in this recipe if you want authentic General Tso Chicken flavors. In a large skillet or wok over high heat, sear the chicken cubes. It’s best not to crowd the pan to help them brown, so do it in batches if your pan is smaller. Once the chicken is cooked, remove it to a plate and reserve. Lower the heat to low or medium and sauté the ginger, garlic and red pepper flakes. Then add back the cooked chicken and pour in the sauce, which will immediately start bubbling and thickening. Once it starts to coat your spoon, it’s done. Toss the chicken with the sauce. Remember it’ll thicken more as it cools to become that sticky coating we all love. Note: Remember to lower the temperature when adding the sauce, as it will allow the flavor to develop and create a nice, glossy thick sauce. Start cooking your rice and vegetables before the chicken, as they will usually take more time. Cut your chicken into small cubes (about 1 inch), allowing for quicker cooking and a crispier coating. Taste test your General Tso sauce before you add it to the pan. Increasing sugar will give a sweeter flavor, while adding more soy sauce will make it saltier and rice vinegar more tart. When adding the sauce to the pan, make sure to lower the temperature so as to allow the flavor to develop and the sauce to become thick and glossy. You can fry the chicken ahead of time. Then you’ll only have to make the sauce and coat the chicken at the last minute. 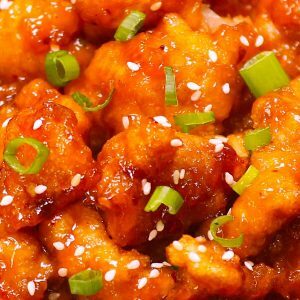 Garnish your General Tso’s Chicken with sesame seeds and sliced green onions. 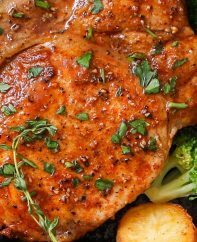 It is perfect as a quick weeknight dinner and serve with rice and steamed broccoli or your favorite vegetables. My kids absolutely love this dish, so it’s a great way to feed the entire family. You might want to use less red pepper flakes if they don’t want it spicy. 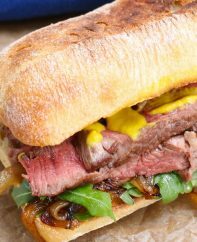 You can also double or triple this recipe to feed a crowd if you’re entertaining, as it’s absolutely perfect for Game Day and other celebrations. Chicken Thighs: chicken thighs work best for this recipe as they build more flavor and have more moisture, but you can use chicken breast in a pinch. Hoisin Sauce: Hoisin sauce is important if you want to achieve the true General Tso Chicken flavor. I bought mine at a local Asian grocery store, and you can order online too. For a hoisin sauce substitute, try mixing 2 tbsp soy sauce, 2 tbsp peanut butter, 1 tbsp honey, 2 tsp rice vinegar, 2 tsp sesame oil, 1 tsp hot sauce, 1/8 tsp black pepper and 1 minced garlic clove. This mixture yields the equivalent of 1/3 cup hoisin sauce. Rice Vinegar: I bought rice vinegar at the supermarket, and you can easily substitute cider vinegar or white wine vinegar. Ginger: I used fresh ginger instead of ground ginger, and liked the fresh flavor it added to the dish. 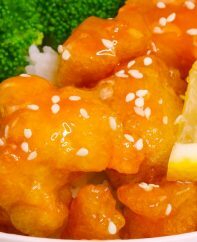 Better than takeout General Tso’s Chicken for the perfect easy weeknight dish- crispy, tender and sweet! It will be on your dinner table in 20 minutes. All you need is just a few simple ingredients: chicken breast, corn starch, garlic, ginger hoisin sauce, soy sauce, rice vinegar and sugar. So delicious! Into a large ziplock bag, add the cubed chicken and 1/2 cup cornstarch. Seal and shake until coated. Set aside. Make the sauce. In a small bowl, whisk together the soy sauce, hoisin sauce, rice vinegar, water, sugar and cornstarch. Set aside. Place a large skillet or wok on medium-high heat. Add the oil and wait 30-60 seconds until it's very hot. Add the chicken pieces to the pan, shaking off excess cornstarch as you go. If you have more than fits in one layer, save half for a second batch. Fry for 3-5 minutes, turning from time to time to brown evenly. Remove to a plate and reserve. 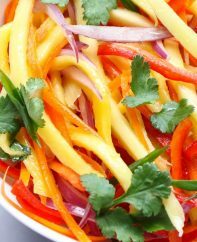 Remove all fat except for a tablespoon, then add in the ginger, garlic and red pepper flakes. Fry for 30 seconds until fragrant. Add the chicken back to the pan and mix thoroughly with the ginger-garlic. Pour in the sauce mixture, and stir constantly until it's just thick enough to coat the back of a spoon, less than one minute. Remove from heat, serve immediately and enjoy! How Can I Get Crispier Chicken Pieces? If you want to achieve the exact look with an extra crispy coating just like the restaurant. You can make the following changes to this recipe: marinate chicken pieces with eggs or sauces and then coat with cornstarch, you can follow the steps in this recipe. In addition, try to deep fry it by heating 4 cups of oil in a deep-fryer or saucepan to 375°F. Add chicken cubes into the oil in batches, and cook until they turn golden brown. This way, you will get the extra-crispy General Tso Chicken exactly the same as the ones from restaurant and takeout. Made exactly as written. Way too salty. The only thing I can think is using regular soy sauce is were that is coming from. I added a 1/2 cup of brown sugar to balance the sweet and salty. I also used a head of broccoli. With that being said, it is a crowd pleaser, taste as you go. I didn’t have ginger, garlic or onions, and I used reduced sodium soy sauce too. I used some garlic powder before putting chicken and sauce in the pan, since I didn’t have garlic. My husband loved it too! He said it was better than the restaurant! I broke an egg over the chicken cubes, and mixed with my hands. I then smothered with corn starch mixture. This was to die for! Hank you for sharing! I’m not sure what I did wrong. I followed the recipe exactly. The sauce came out overly salty and way to tart. I added another tbsp sugar which then made it salty, tart and sweet. The store was out of low sodium soy but it’s never been an that much of an issue before. Any other suggestions that may have fixed this? Hi Laura, Sorry to hear! Hard to say what happened, but if too salty then the low-sodium soy is probably the culprit. Make sure you bring the sauce to a boil too, which will mellow the flavor somewhat. Hope you try it again! So I made this exactly, with all the proper ingredients and idk what went wrong. I am thinking it might be the vinegar? It was very sweet, but also salty and tart. I did bring the sauce back up to a boil to see if I could mellow the flavor a little, like you suggested. It did work but I think I will stick with my usual go to recipe. Hi Liz, Thanks for your feedback. Not sure but sweet, salty and tart sounds like General Tso’s Chicken! You can certainly reduce the vinegar if it’s particularly strong-flavored. Hope that helps! What kind of sugar? Brown, powder or granulated. Just tried this, was very nervous because I’ve never made sauce of any kind before and I had to cook more than five pounds of chicken. All of my roommates and husband loved this recipe! !